What Could “Medicare for All” Look Like for Main Street Americans? Our November 6, 2018 midterm elections are four days away, and over 70% of Americans tell pollsters that health care is their number one concern. Many in the U.S. worry that if Republicans keep control of both the House and the Senate, they will end the ACA, or Obamacare, for good: They already tried in 2017 and narrowly failed in the Senate, thanks to courageous votes by Republican Senators Susan Collins, Lisa Murkowski and the late and much regretted John McCain. The end of the ACA would also spell the end of health protections for millions of Americans suffering from pre-existing medical conditions, a major issue for most voters, who more often than not know relatives or friends affected by this. On the Democratic side, many candidates for the House of Representatives and Governorships all around the country argue that Obamacare, even though it provided health insurance for 25 million Americans for the first time, is no longer enough: They want “single payer” universal coverage. But isn’t our national health care debate artificially constrained? 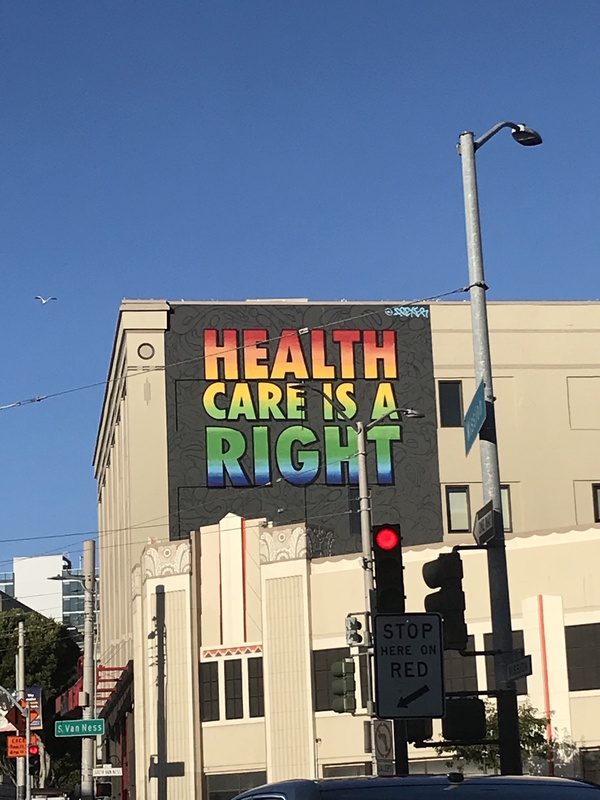 Today, most of the political discourse focuses on just two streams of ideas—either incremental tweaks to the current system, or a national, universal single payer system like those found in Australia, Canada and the United Kingdom. These systems do provide universal care at a very reasonable cost, but suffer from a certain degree of “rationing” of care, principally for older people, and do not use private sector capabilities effectively. On the other hand, countries like Japan and those in Continental Europe have very successful health care systems that combine universal coverage administrated or mandated by the state with a thriving private sector. The respective activities and responsibilities of the government and private sector are clearly delineated. The government focuses on ensuring that even the economically disadvantaged get health care. The private sector—typically not very good at serving the poor effectively—can then focus on innovations and leading-edge treatments. Supplemental private plans are on offer for most workers and retirees, paid by employers or the insured. These health care systems more often than not include a strong role for employers, just like in America: In Japan, employer-sponsored (or work-related) health insurance is the norm, with the government enabled “safety” layer focusing, through various coverage schemes, on 1) students; 2) the economically disadvantaged; and 3) the elderly. In France, all employees have access through their employer, or professional representation, to a “Mutuelle,” working in similar fashion to our private sector Medicare Advantage plans in the U.S. In all cases, governments and private sector companies have very distinct roles. In the U.S. today, no such clarity of roles exists. In the land of free markets, our government spends over 60 cents of every health care dollar—think Medicare, fifty Medicaid plans, the VA, national health research, and tax deductions for employer provided insurance. That is much more than in the non-single payer countries mentioned above. Our government and private sector cannot untangle themselves. Costs mushroom and complexity is everywhere, challenging Americans even in what should be the simple action of choosing the right insurance plans for their family. It is time to think about a different system, one involving both a “public option” and a very competitive private sector, as opposed to a single payer system where, essentially, the government would do pretty much everything in terms of health coverage. “Medicare for All” could actually be a much simpler system than what we have today, driven by a fundamental premise: Separate clearly the roles of government and private enterprise, so that both could perform better; and cover everyone while reducing costs. Such a “Medicare for All” plan (not single payer) could help restructure the way federal and state entities interface with the private sector. Medicare would stay as is for those who are 65 or older; between the ages of 65 and 55, there would be a still comprehensive plan, but less generous and expensive than today’s Medicare; between 55 and 40, Americans would enjoy a more basic plan, costly significantly less and reflecting their better expected health within that tranche of age; and between 40 and 26, there would be a very basic plan, at very low cost, essentially covering serious and unforeseen illnesses so that no young American would face the threat of bankruptcy due to an unexpected health situation. Costs would go down with the lower coverage needed for younger people, and the simplicity of this system. Private businesses would focus on offering “supplemental” or “advantage” plans to everyone in the country, leveraging their vast experience with such plans today, and their ability to work with employers. The government would focus on providing a health safety net, and the private sector would do the rest. Both would focus on their strengths and become more efficient. Everyone would be covered, costs would go down over time, and Main Street America would enjoy universal health care for the first time, like hundreds of millions in Continental Europe and Japan. In more detail, how would such a “Medicare for All” solution work? Medicare would be extended as government guaranteed health insurance to everyone above 26 years of age, younger individuals keeping the option to stay on their parents’ insurance plans, as they have today. There would be three, lower cost but higher co-pay and deductible plans. A “Basic” Medicare, akin to a “Bronze” plan, available to those between twenty-six and forty, with the lowest fees but highest co-pays and deductibles; a “Silver” plan, available to those between forty and fifty-five. And a “Gold” plan, available to those between fifty-five and sixty-five. The health exchanges set up as part of the ACA would be closed. Anyone wishing to get better quality coverage than provided in the Basic, Silver, Gold or Comprehensive Medicare plans, would have to go to the private sector for supplementary coverage providing lower co-pays and deductibles. All such private sector supplementary insurance plans, as well as remaining employer-based coverage, would be allowed to operate across state lines. Private health insurers would be encouraged to compete nationally, just like any other form of insurance such as for homes or cars. The tax-deductibility of employer-provided private insurance would be eliminated, saving the U.S. treasury about $250-260 billion per year and thus helping finance the proposed solution. This would also redirect the efforts of most private insurers to Medicare Advantage types of plans. Employers could still award “Cadillac” private health plans to employees as part of their benefits package, but they would have to pay taxes on them like on payroll. Most employers would offer Medicare supplemental plans as benefits, but more sparingly in terms of costs than today. This would provide an incentive to prevent overuse of health care services. The private sector would thus gradually focus on “Medicare Advantage,” or “Supplemental” plans, which would be available to all, for whatever fees private insurance companies would see fit to charge. With “Medicare for All” covering by definition all individuals with pre-existing conditions to some degree, the rules on pre-existing conditions would be very simple. Private insurers would be not be allowed to deny coverage to anyone, and to charge more than five times the cost of a Basic plan, four times that of a Silver plan, and three times that of a Gold plan to the individuals eligible for such plans. This way no one with a pre-existing condition would be priced out of supplemental Medicare coverage. The federal government and CMS would be responsible for setting the guidelines, standards, co-pays, deductible and fees for Medicare plans. The administration of Medicare plans would be modeled on today’s Medicare, with a few changes mentioned in the points below. The federal government (HHS Department and CMS) would be responsible for negotiating reimbursement schedules with hospitals. There would be a renewed, nationwide focus on an outcome based pricing system that would gradually eliminate fee for service over a ten-year period, leveraging the success of the few Medicare Advantage plans that have already implemented “capitated” pricing for given populations. As part of this renewed focus on relationships with hospitals throughout the country, CMS would launch a national information technology program that would aim at creating a “National Health Card.” This health card would allow all Americans to keep their personal health and medical data in a simple IT format that would be compatible with most, if not all existing hospital patient accounting systems. CMS would dictate the standards required, and this program would be financed by private IT companies currently involved in the health sector, against a small recurring fee paid by health card holders. HHS and CMS would be responsible to negotiate the pricing of drugs for Medicare plans with pharmaceutical companies, with the required corresponding changes to the current Medicare “Part D” plan—foremost the elimination of the absurd rule that today prohibits Medicare from negotiating with pharmaceutical companies the prices it pays for drugs. A key lever to be used by the relevant government entities would be allowing more imports of lower priced drugs from other countries with high health standards, such as Canada and Europe. HHS, in conjunction with the Department of Education and leading U.S. universities, would launch a program aiming at creating graduate programs forming Primary Care Physicians in fewer years than those available today, and at a much lower tuition cost to students opting to become generalists. State-level Medicaid plans would be eliminated. However, individual states would have the option to administrate “Medicare for All” in their state, as long as they met the universal standards set by HHS and CMS at the federal level. In particular, States would be encouraged to develop their own arrangements with local providers, Medicare and private insurers to monitor patient outcomes in an integrated way for segments of their population. Veterans’ hospitals and the VA’s involvement in health operations could remain, but in terms of coverage the VA would focus on financing Medicare Advantage plans for veterans of all ages, to ensure their current level of health coverage is maintained, beyond the new Medicare levels. The National Institutes of Health would continue to be well financed, just like during the Obama administration. A new national effort would be launched to help develop new, innovative medical devices and drugs, working with young biotech companies and funding them along the lines of DARPA for scientific ones and ARPA-E in energy and clean-tech. The federal government, with HHS, the FDA, and the National Institutes of Health, would launch a national initiative on prevention, working closely with Academic Medical Centers and biotech companies throughout the U.S. This “Medicare for All” system would be a lot simpler than today’s health care in our country. The administrative costs of the existing multi private insurance plans within each state (remember, our current private system of private insurance does not cross state lines) would be greatly simplified with one national, Universal Medicare Option plan. Private Medicare supplemental plans would operate across state lines, transforming a multi-state system into a national one, also simplifying administrative processes significantly. The fifty state Medicaid programs, with their enormous differences, would essentially disappear. States that would elect to administrate “Medicare for All” in their state would do so under a unified set of national guidelines. The mosaic of interactions between the governments—federal and fifty states—and the private health sector today would be replaced by a much smaller number of interactions between Medicare and private plans operating at a national level. The ACA’s health exchanges at the federal and state level, a source of much complexity and poor results, would cease to exist. With them a whole lot of very complicated and confusing set of eligibility rules, subsidies and tax credits, would disappear. The roles of the federal government and the private sector in health care would no longer overlap significantly like today. The government would focus on universal health care with basic coverage, the operations of VA hospitals (which could be reversed to the private sector without changing the proposed system fundamentally), some medical research and the regulatory role played by the FDA. The private sector would do all the rest, including operating most of our hospitals. With this simplification of state-private interactions in health care, information systems could also become much simpler over time. 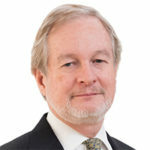 Unless we adopt such a system, in which our government and the private sector have clearly separated roles, and as a result no longer work at cross-purposes, complexity and resulting costs in health care will continue to rise in the U.S. Today we are at $10,000 per capita per year of health care costs in our country, or 17% of GDP. For reference, in Germany that figure is $5,300; in France $4,400; and in Japan, $4,000. These three countries also enjoy better aggregate health outcomes—like life expectancy—than we do. We need to change, and dramatically so, or we will soon reach a stage where health care is taking 20% of our GDP, with ongoing negative consequences on our economic health, not to mention our physical health.